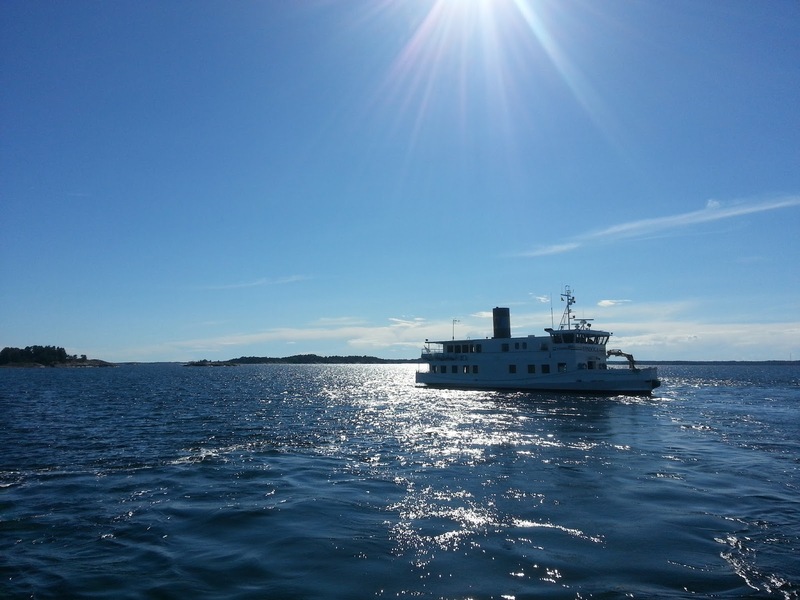 The August adventure with our teenagers took us to the Stockholm archipelago and a bit of "island hopping". 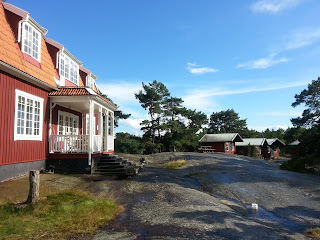 The Stockholm archipelago with 30000 islands is one of our favourite places. And it is also quite easy to reach many of the islands even without your own boat, since there are plenty of ferries going to the islands. 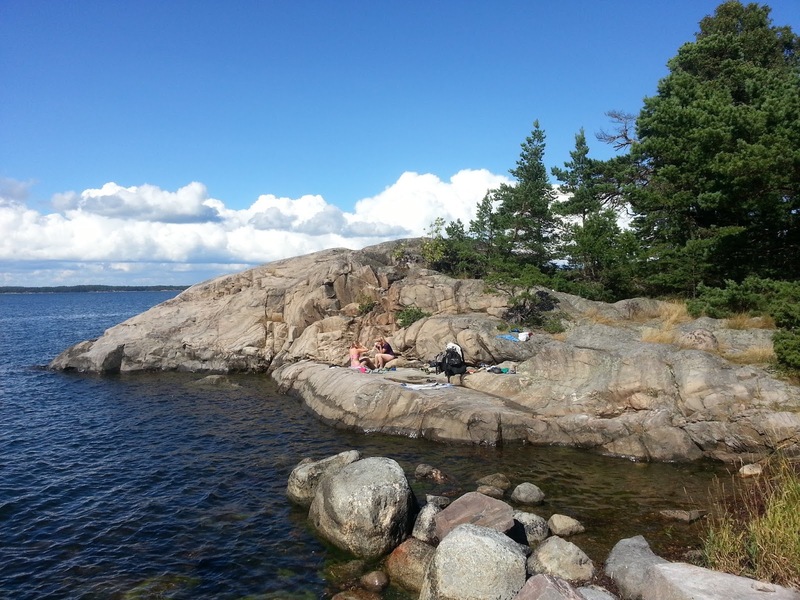 This time we chose three islands in the southern part of the archipelago - Rånö, Utö and Fjärdlång. We started our trip from home, first with the bus and then a commuting train for one hour to the harbour in Nynäshamn. We took the boat to the island of Rånö, it's a journey of about 50 minutes. When we got to Rånö we were greeted by the staff at the cabin rental to pick up our luggage - great service! So they transported our backpacks while we walked a kilometer to our cabin. There is a small shop and a restaurant on the island, so before dinner we spent a couple of hours playing cards at the restaurant and drinking the local beer made in Nynäshamn. We then made tacos on our Primus kitchen for dinner. The location was absolutely amazing - we sat on the cliffs all by ourselves with a beautiful view of the ocean. 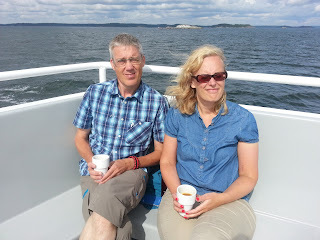 The next day we took the morning ferry to the next island Ålö, which is only 10 minutes from Rånö. 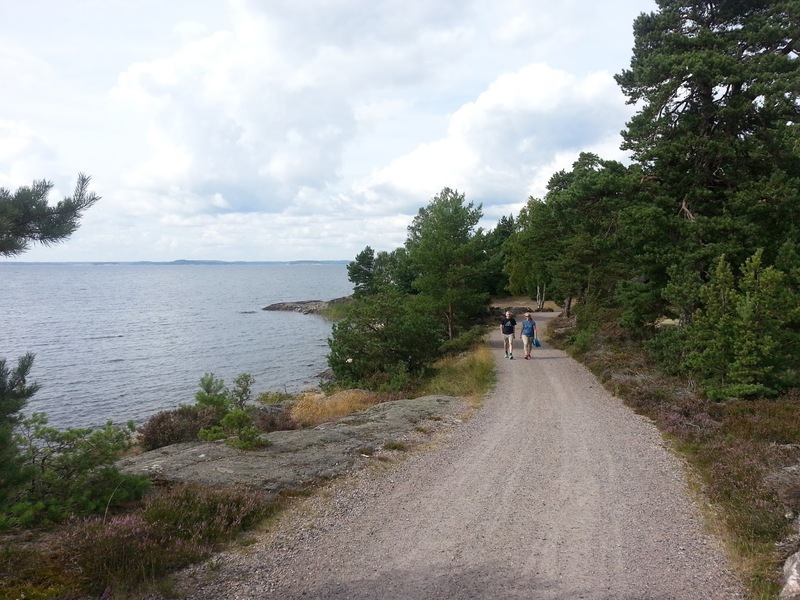 Our first idea was to spend the day walking 13 km to the hostel at Utö (the two islands are connected). But we changed our minds and instead we walked about 5 km to the beach Utö Stora Sand. The beach is located within a military zone, but thankfully there were no shootings planned for this weekend so we could enter the area. 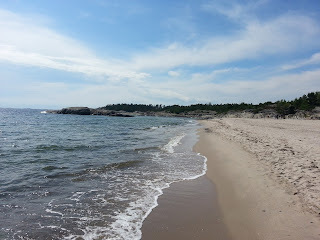 We were almost alone at this wonderful beach - so we had a great day! This year there was a bus going from the beach up to the north of Utö, so A and the teenagers took the bus while CJ ran instead. 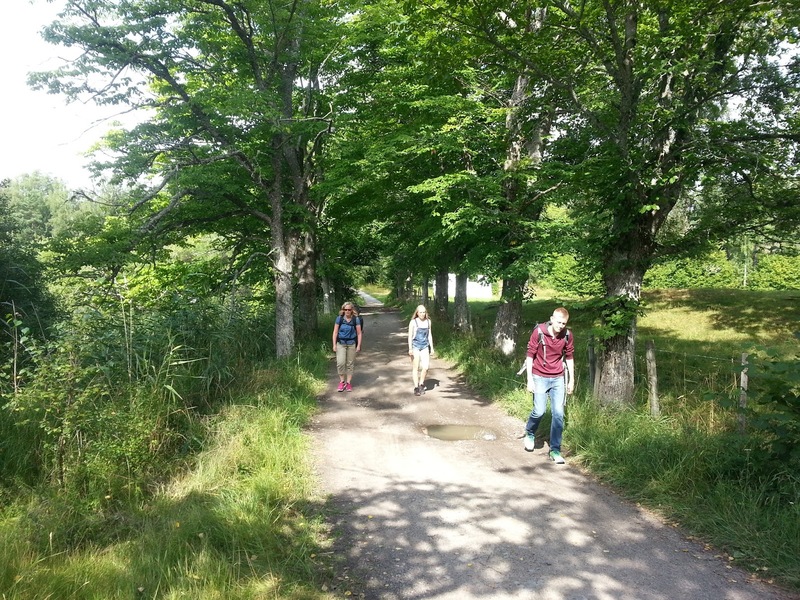 We checked into the hostel where we were staying and went for a walk around the small village. Utö is one of the more popular islands in the archipelago with several shops, restaurants and bars. But we were not there to party, so instead we spent the evening at the hostel making dinner and playing mahjong. We bought a travelsize mahjong in Hong Kong which is great to bring on our adventures! 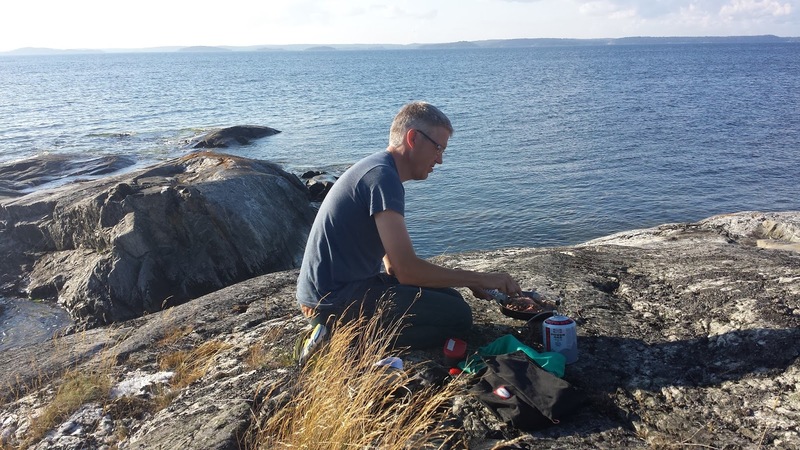 The next day we explored Utö a bit more. Or actually, the teenagers got to sleep in while the adults explored Utö. We met a charming geologist at some cliffs who was preparing a guided tour, apparently Utö has a very interesting geology. The last stop was the island of Fjärdlång. 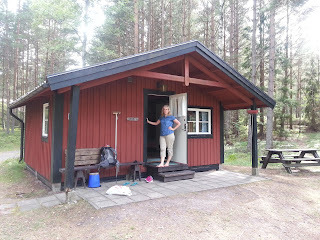 We rented a small cabin on the top of a hill next to the hostel. We had bought smoked salmon at Utö which we ate for dinner at the dining room at the hostel (this was the first chilly evening on this trip so it was nice to be indoors). The next day we found some cliffs by the ocean and left the teenagers there (sleeping, listening to music, relaxing). 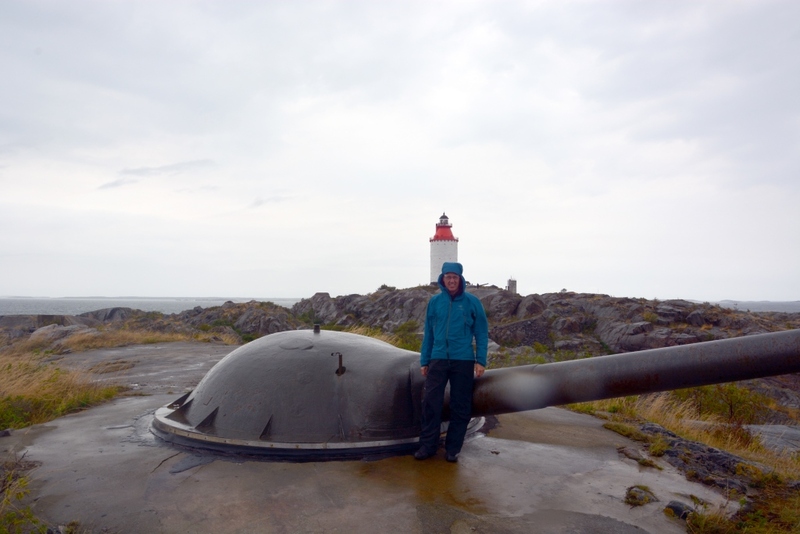 We then followed a trail around the northern part of the island. 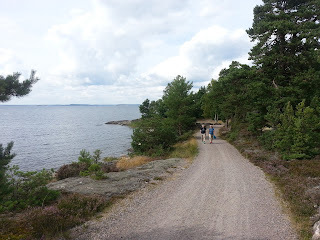 This was a great trail, we can really recommend it for a day trip from Stockholm. We walked through woods and pastures with sheep and then passed several sailboats. 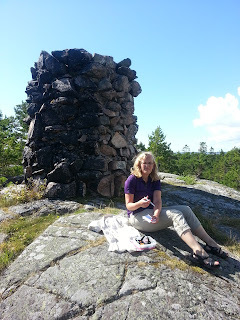 We went up to "Tysta Klint" which is the highest point on the island. After about 3 hours we returned back to our hungry teenagers. The grand finale of this small adventure was then the boat ride from Fjärdlång all the way into Stockholm city. 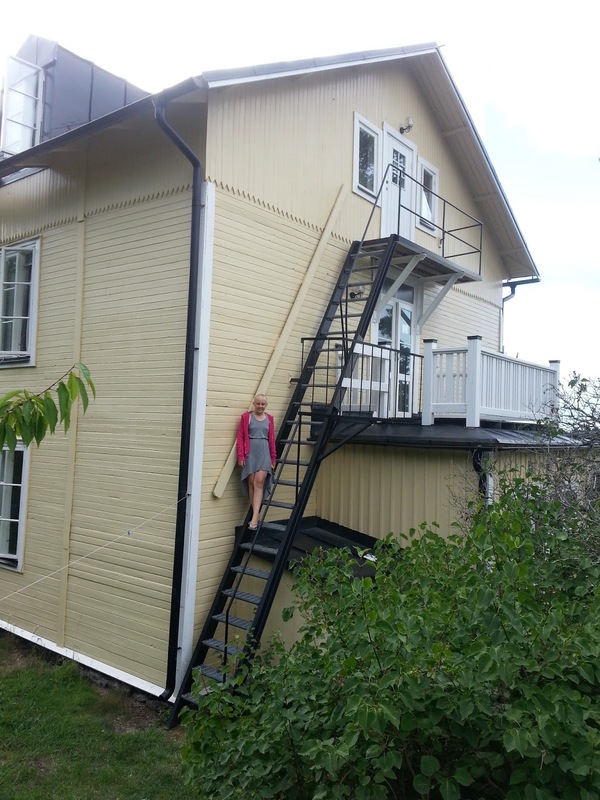 It is a 3 hour trip and passes through beautiful scenaries and also some impressive houses at the more fashionable parts of Stockholm. We had a great time - and we will definitely try to visit some other islands next year. It's better than therapy to get out into the archipelago with the ocean, the views and the silence. 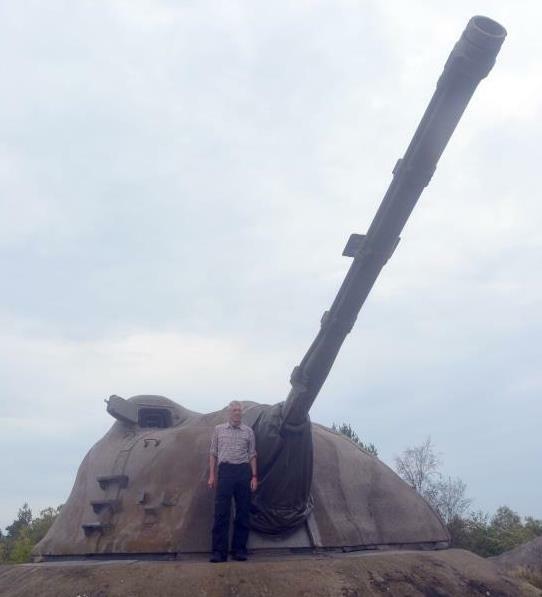 Jag fick ett tips av F i Team Sparris om en specialguidning av bunkertours.se av batterierna på Landsort via bunkertours till Öja. 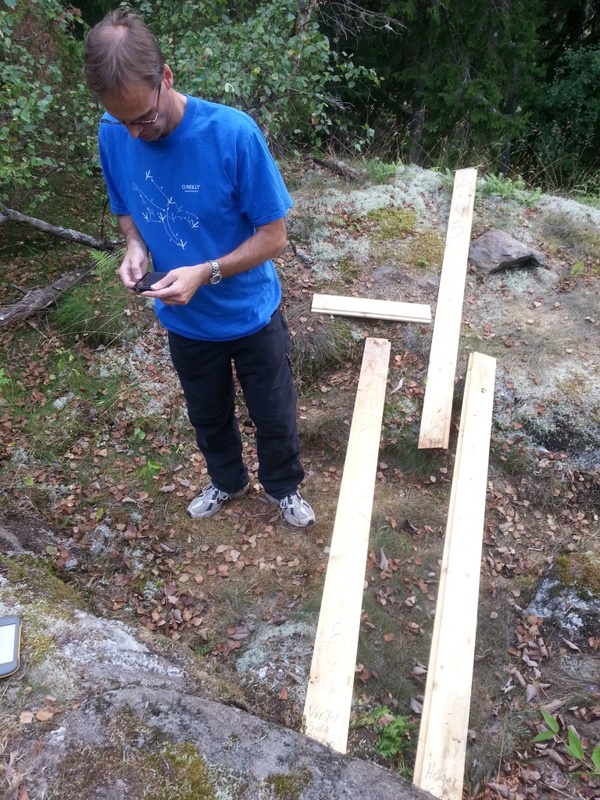 Jag gjorde ett besök där i oktober 2007 precis efter att vi börjat geocacha så det var på tiden för ett nytt besök. Även den gången besökte vi en av pjäserna. 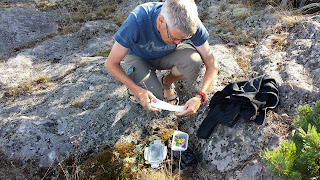 F och jag åkte efter lunch redan på fredagen för att plocka några geocachar på vägen och vara på plats vid färjeläget redan på kvällen. Vi siktade in oss på cache serien Norsbol som såg ut att vara kul. Det visade sig vara ett bra beslut och vi fick en del utmaningar, både sådana som vi löste och sådant som vi inte klarade av. Till sist så var vi tvungna att fortsätta ned till Ankarsudden för att laga middag och hitta en tältplats. Av en slump hamnade tältet 25 m från geochachen nästa landsort (som vi loggade i oktober 2007). Vi gjorde upp eld och lagade middag, det enda vi glömt var korkskruven men det löste sig det med. På natten så regnade det och blåste men precis när vi skulle äta frukost så var det uppehåll. Lax, med nudlar blev det så småningom. 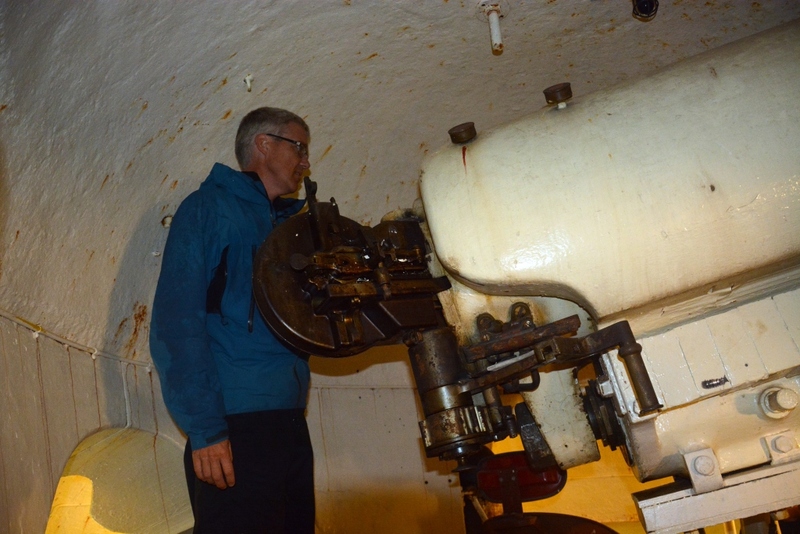 Vid 10 så samlades bunker gänget och vi tog båten ut till Öja. Eftersom det var nästan rak sydlig vind 10-13 m/s med lite regnbyar så vädret i början var inte det bästa. Väl på Öja så gick vi söderut och tittade på det gamla 15.2 batteriet och fyren. Intressant och framfört roligt när pjäsen var upplåst. Jag och F passade även på att ta den burk som fanns vid fyren. Liten trång hamn på södra Öja. Hade vi haft ammunition så hade det nog gått att skjuta. Regn och blåst (men vi var bra klädda). Efter lite fika så gick vi de 3 kilometerna till 12/70 pjäsen på norra ön. Vi skulle bli insläppta i två omgångar så jag och F tog den andra turen och passade då på att besöka earthcachen helveteskällan. Som tur var så hade F med sig de hjälpmedel som behövdes. Imponerande stor 2,4 m i diameter. Sedan gick vi tillbaka till pjäsen och spenderade en timme i underjorden. 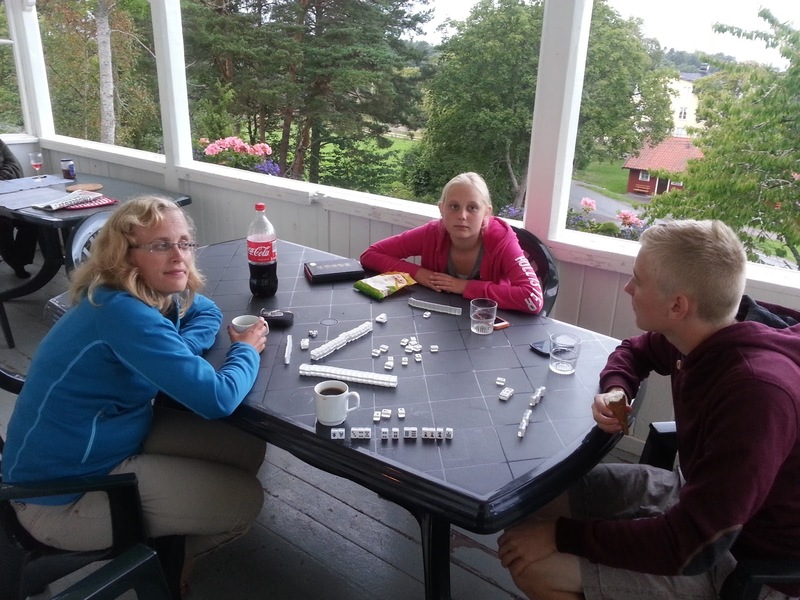 Som gammal kustartillerist blir man väldigt nostalgisk och anläggningen såg mer eller mindre ut som när jag var krigsplacerad på en sådan här pjäs på Gotland. 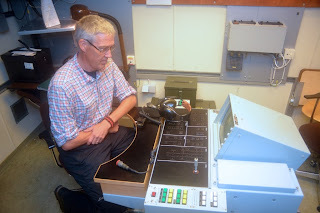 Bäst för mig var nog också att luftvärnsledningen (med ARTE 725) fanns kvar. Jag i samspråk med den lokala guiden. Det är en rätt stor pjäs! Efter att vi låst igen pjäsen så gick vi tillbaka till hamnen och båttransporten till fastlandet. After a sunny summer with plenty of adventures, we are now getting ready to go back to work and school. 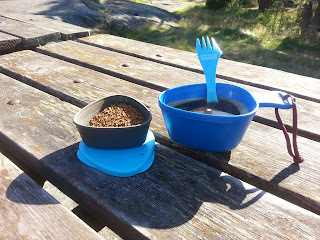 But we have time for one more microadventure before returning to our everyday life again. 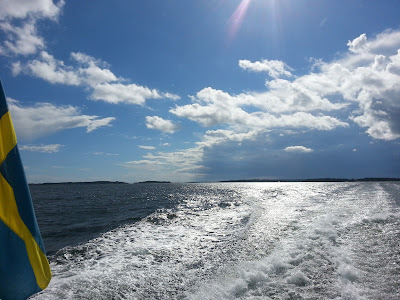 This time, we are taking a long weekend to go "island hopping" in the Stockholm archipelago. The boat company Waxholmsbolaget has an island hopping pass which is quite inexpensive (420 SEK for 5 days) which makes it easy to travel around on the islands on different boats. They have also prepared some recommended island hopping routes that we used for inspiration. We decided to go on the Southern route and spend four days out in the archipelago. There are plenty of shops and restaurants out on the islands, but we plan to make most of the meals ourselves. So, tonight we are planning all meals and making sure we have brought the essential things. And at the same time keeping the weight as low as possible for the backpacks. Actually, we are only planning one day of hiking and the rest of the days we will not have to carry the backpacks for any long distances. So I guess it's okay to add some extra weight this time. The Stockholm archipelago is really a beautiful place and it looks like we will have nice weather - so looking forward to a nice weekend. More info coming soon!